Did you know Induron sells to international markets? Our Latin American representative presented Induron with the opportunity to provide products for this particular project in the coastal Colombian city of Baranquilla. 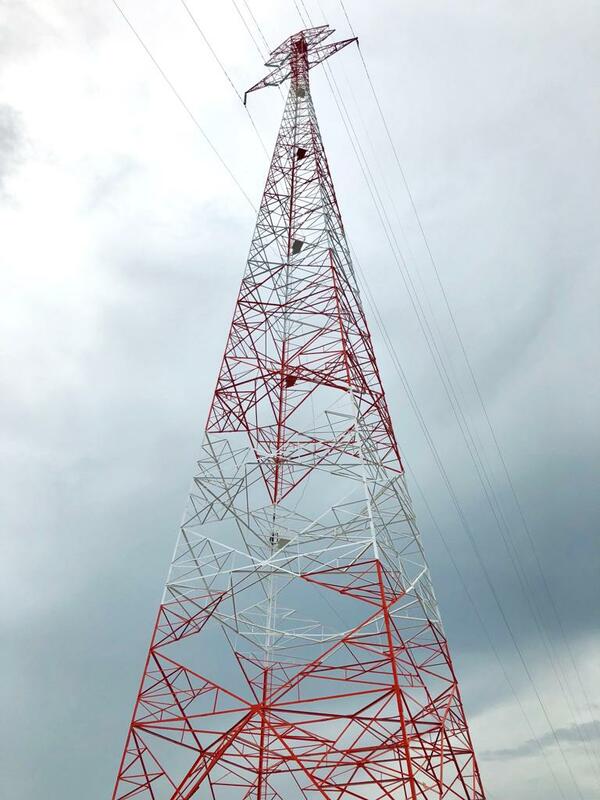 Induron’s Armorlux Red Primer and International Orange & White Indurasil Gloss Enamel were specified to overcoat these more than 120-meter tall, lattice-leg transmission towers, which provide support for the power lines that cross the Magdalena River. 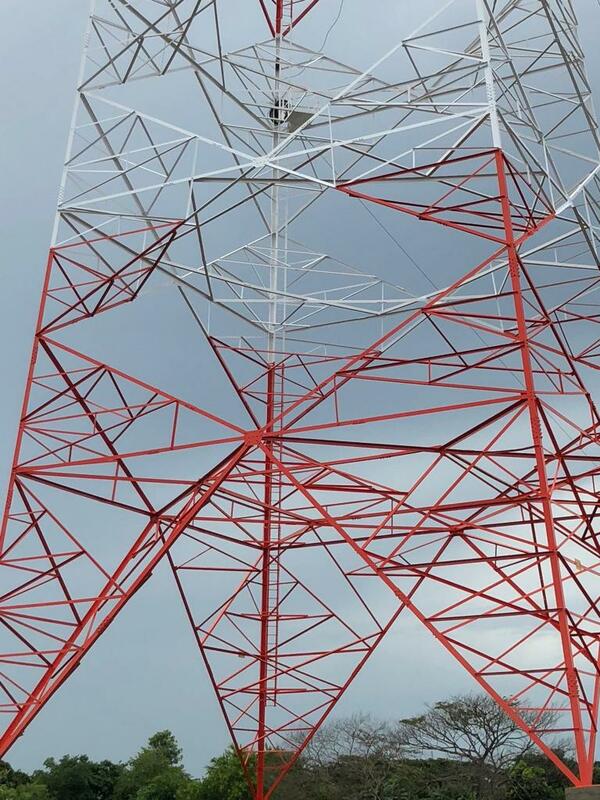 Armorlux Primer is often used as the primer for shop or field applications in conditions where surface preparation is marginal, which made it an ideal solution for these transmission towers. Armorlux Primer is a versatile, low VOC and HAPS-free primer that offers rust-inhibitive qualities and the performance qualities of a top-quality alkyd vehicle. Together, these features provide protection on both interior and exterior exposures. Plus, it offers excellent wetting characteristics, which make it useful for repaint work. Not only is Armorlux Primer formulated free of lead, mercury, chromates and other toxic pigments, but it is an unusually cost-effective, corrosion-preventing primer. Induron’s Indurasil Gloss Enamel was used as the finish coat on this project. Indurasil is a high-solids, VOC compliant, single-component topcoat intended to achieve maximum color and gloss performance despite moderate to severe industrial exposure. 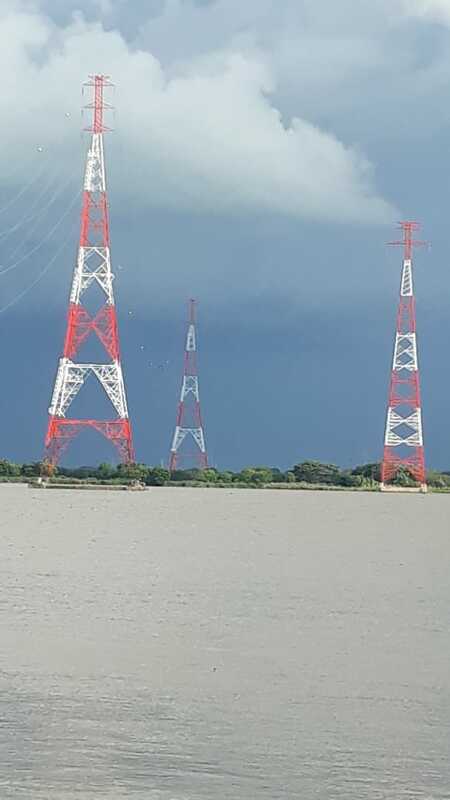 A vibrant orange and white color were used on these transmission towers. Induron’s Latin American Partner, Energía, and Sergio Correa were responsible for the success of this project and many others completed in South America in 2018!